Trilateration is a mathematical technique used by a global positioning system (GPS) device to determine user position, speed, and elevation. By constantly receiving and analyzing radio signals from multiple GPS satellites and applying the geometry of circles, spheres, and triangles, a GPS device can calculate the precise distance or range to each satellite being tracked. Trilateration is a sophisticated version of triangulation, though it does not use the measurement of angles in its calculations. Data from a single satellite provides a general location of a point within a large circular area on the Earth's surface. Adding data from a second satellite allows the GPS to narrow the specific location of that point down to a region where the two areas of satellite data overlap. Adding data from a third satellite provides an accurate position of the point on the Earth's surface. All the GPS devices require three satellites for an accurate calculation of position. Data from a fourth satellite—or even more than four satellites—further enhance the precision of the point's location, and also allows factors such as elevation or, in the case of aircraft, altitude to also be calculated. GPS receivers routinely track four to seven satellites simultaneously and use trilateration to analyze the information. The U.S. Department of Defense maintains the 24 satellites that relay data worldwide. Your GPS device can remain in touch with at least four satellites no matter where you are on earth, even in wooded areas or major metropolises with tall buildings. Each satellite orbits the earth twice a day, regularly sending signals to Earth from an altitude of about 12,500 miles. Satellites run on solar energy and have backup batteries. When a GPS navigator receives insufficient satellite data because it's not able to track enough satellites, trilateration fails. Obstructions such as large buildings or mountains may also block weak satellite signals and prevent the accurate calculation of location. The GPS device will alert the user in some way that that it is unable to provide correct position information. Satellites may also fail temporarily. Signals may move too slowly due to factors in the troposphere and ionosphere, for example. Signals might also ping off certain formations and structures on the Earth, causing a trilateration error. GPS was introduced in 1978 with the launch of the first global positioning satellite. It was controlled and used solely by the U.S. government until the 1980s. The full fleet of 24 active satellites controlled by the U.S. did not come into use until 1994. A GPS device does not send data to satellites. 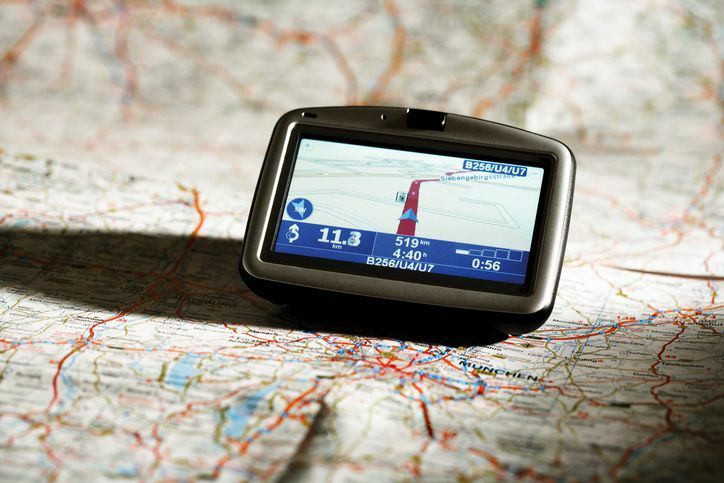 GPS devices, such as smartphones equipped with the technology, can also use telephonic systems, such as cell phone towers and networks, and internet connections to further enhance location accuracy. When using these latter two systems, a GPS device may send data out to these systems. What Exactly Is GPS? GPS Defined. Do You Need A Center Channel Speaker For Surround Sound?